A PARADISE 50,000 ELEPHANTS CALL HOME AND TWO MIGHTY AFRICAN RIVERS MEET. Chobe Water Villas are set in Namibia's Kasika Conservancy (in the extreme east of the Zambezi Region in Namibia)and overlook both the Chobe River and the Botswana's Chobe National Park. The Villas are a unique 'boutique' lodge and provides comfortable riverside accommodation for self-drive tourists on the way to Chobe Park, the Okavango Delta and Victoria Falls. Access to Chobe Water Villas is only through Kasane Immigration Office in Botswana before being transferred by a short boat trip to the lodge. 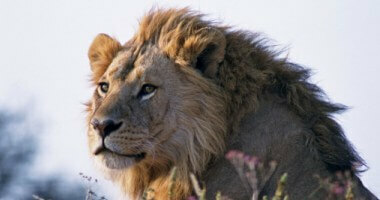 The action begins already with many opportunities to view wildlife en-route to the lodge. A warm welcome awaits and once you are settled in expect unhampered views into Sedudu Island, a wildlife haven which supports large densities of elephant, buffalo, hippo, crocodiles, antelope and hundreds of bird species. This beautiful and wildlife-rich camp is located at the eastern tip of the Zambezi Region near the confluence of the Chobe and Zambezi Rivers. This is where the borders of four countries meet: Namibia, Botswana, Zambia and Zimbabwe. Guests stay in 16 spacious luxury 'Junior Suites' with guaranteed 180° river, park and island views. Your accommodation sits on top of stilts, erected over the water's edge with plenty of living space. The front terrace faces the Chobe River with built in day-bed and a smaller rear terrace affords sunset views of the bush. The bathroom features double vanity basins and separate bath, shower and toilet. The open-plan bedroom and lounge afford stunning river views through floor-to-ceiling folding glass doors. Sleep on either an extra-length king-sized bed or 2 x three quarter beds. En-suite bathrooms with double vanity basins, separate baths, showers and toilets, linen, bathrobes, slippers. Air-conditioning, mosquito nets, hair-dryers, complementary Wi-Fi, toiletries, multi 110v and 220v plug points, tea/coffee station, stocked mini-bar and a writing desk/ladies dresser are standard. Security door locks, an electronic safe, torches and an intercom phone enhance your safety and security. Tranquility and privacy are assured at Chobe Water Villas, the main thatched lodge sits under shady acacia trees and partially opens onto the gardens. The outlook over the infinity pool and deck is embellished with outstanding views of the immediate environment. Wine and dine in a cozy restaurant ambiance to tastefully fused African and European dishes complemented with Mediterranean fare. Cold and hot buffet-style meals can be ordered at breakfast and lunch and a plated dinner can be ordered from the menu. A braai prepared over coals around a camp fire is served at the 'African Boma'. The cocktail bar and lounge is the place to go to relax and unwind before and after meals. The easy going atmosphere extends into the private library, which boasts a 'complimentary tea & coffee butler station'. Either side of the infinity pool are a number of 'view pits', open fires set on the river banks where guests can meet fellow travellers and retell their day's adventures. High tea, sundowners or 'Chobe River night caps' can be served here as well. Both the corporate community and professional photographers can choose to present their workshops and executive meetings at Chobe Water Villas. Facilities include a 16 seater review or board room equipped with a large screen TV with 170 channel satellite TV system. Complimentary Wi-Fi is available in all the public areas including around the pool area and in the accommodation. The outdoor day bed gazebos provide ample shade from the hot afternoon sun. Other facilities include a 24hr laundry service and a curio shop. 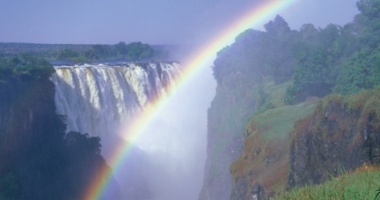 Activities mainly revolve around professionally guided game safaris on land and water. Expect many photographic opportunities to abound, so binoculars and camera's at the ready. 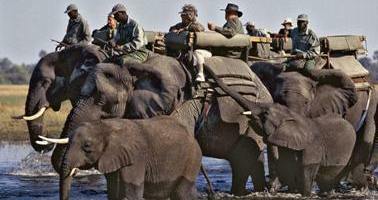 A morning wildlife viewing safari can be organized into Chobe NP. This is often the best time to view game as many animals can be spotted scampering around before they begin to forage for food. Duration: 4/5hrs. Search the banks of the Chobe in the late afternoon, one of the best times for spectacular wildlife interaction. Elephant and buffalo in large numbers come to the water to drink. Enjoy drinks and snacks as the sun sets. Duration: 3hr. 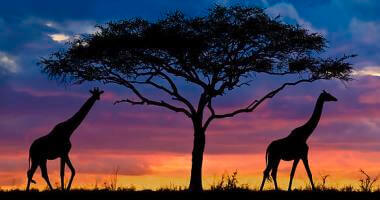 The Kasika Conservancy was started in 1998 to help improve the lives of community members that dwell in the area. Visitors can watch performances of their traditional dance group and get an appointment with the village's very own resident sangoma (traditional healer). He can show you time-honoured local medicines and remedies. Locally made arts and crafts are also on sale. They make ideal authentic gifts and souvenirs. Members of the Kasika Conservancy can guide you on a mekoro trip on the mighty Zambezi River on a hand hewn wooden canoes called a makoro. Capture those special avian moments from a challenging prospective. Chobe Water Villas can take you on professional fishing charters and photographic river cruises in their purpose-built boats. Fish for one of the fresh water's most famous fighting fishes, the Tigerfish as well as nembwe and 3-spot bream. Seasonal rates Vary. Please contact us for a quote and suggested itinerary.